Bucktrout Tailoring is a family business (the Bucktrouts, as it happens) based in Leeds, Yorkshire. 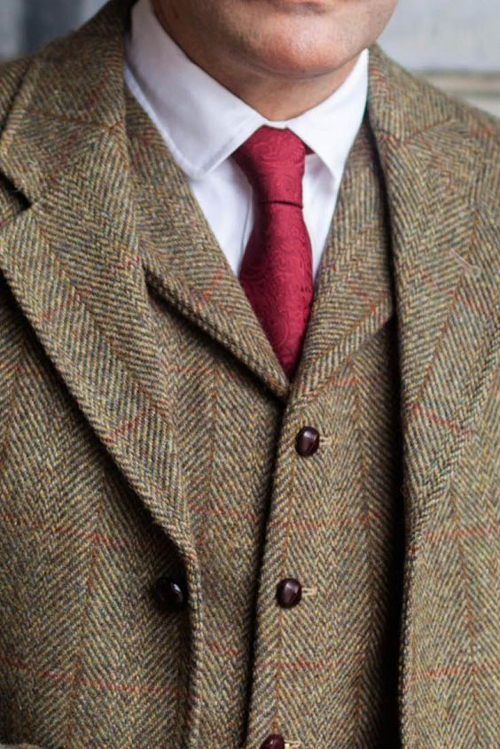 Bucktrout makes heavy use of Harris and Yorkshire tweed in their designs. The clothes are made up in Portugal. You'll be sticking with thicker trousers until the arrival of the swallows and chiffchaffs, no doubt, and tweed-ers will figure somewhere. Bucktrout has a few options in tweed that might satisfy your trouserly needs. You can find the matching top halves, the coats, jackets and weskits, but I thought we'd give some thought to your legs. We'll study a couple of examples below. 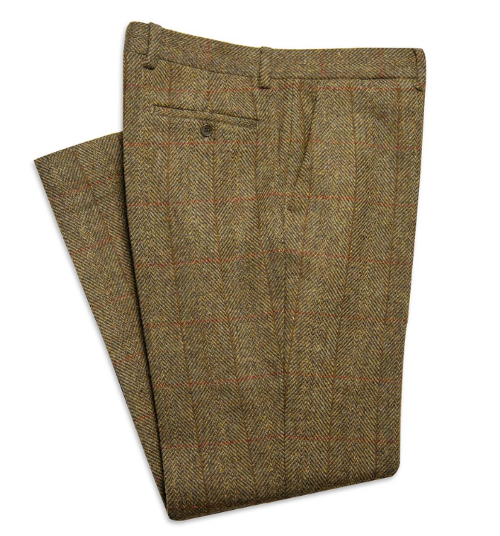 The Bucktrout Mens Tweed Trousers - Mustard are made from hand-woven Harris tweed in a mustard herringbone pattern. The trousers are flat-front and half-lined, and would go very well indeed with a pair of brown boots. 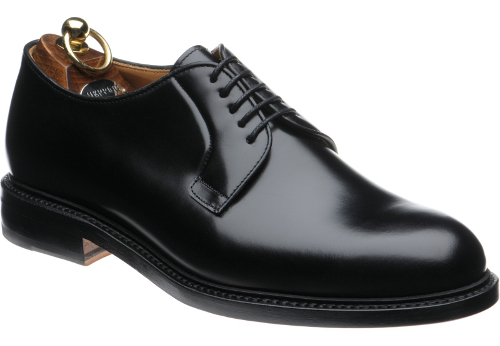 I would encourage you into a pair of made-to-measure British-made Strap Jodhpur boots from our excellent chums at Horace Batten. 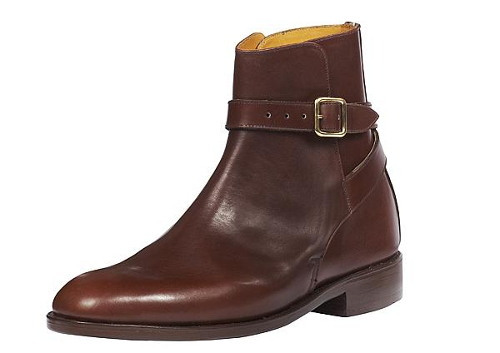 If these princely boots don't quite go with what you're wearing, then the clothes are wrong — always. 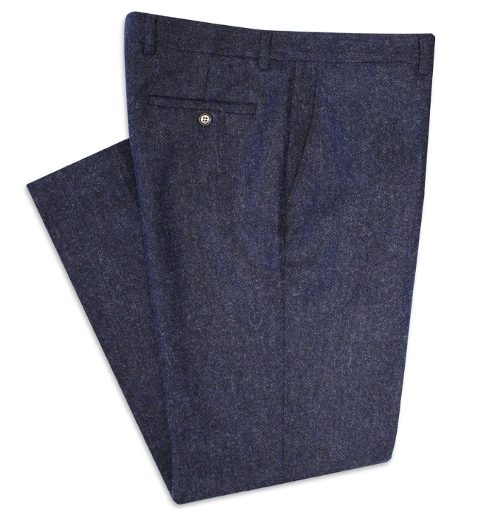 The Bucktrout Mens Tweed Trousers - Blue (below) are made from Yorkshire tweed, and are again half-lined and flat-fronted. I would be tempted with a black shoe in a non-city design with these trousers. Something like the Lakenheath Derby from our cherished fiends at Herring.